Disclosure: This post was created in partnership with Bed Bath & Beyond. I’m sure you could have guessed that this is my favorite category to gift in. Aside from my fanaticism over all things home, I’m at a time in life where almost everyone around me is growing their homes too- engagements, weddings, moving to new places, there has been so much to celebrate and many spaces to warm. In light of these happy milestones and more celebrations to come, here are my picks for modern home gifts in partnership with Bed Bath & Beyond, the one-stop shop where I got everything I’m about to share with you. 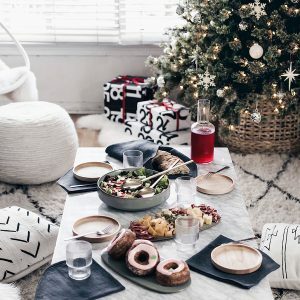 Serveware and tabletop accessories tend to be those things many don’t think of getting first for their homes, which is a lot of why I think they make great gifts. 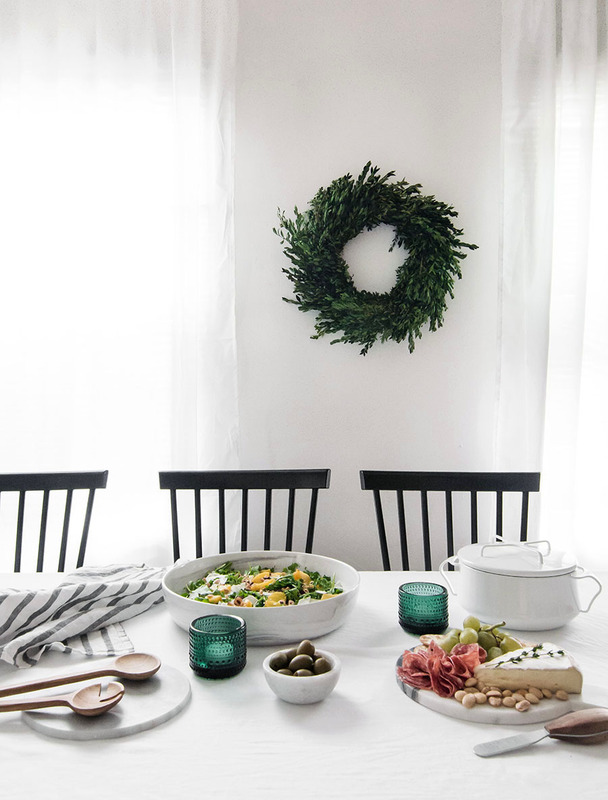 Spanning from daily use to special occasions, these items are both useful and a beautiful way to encourage entertaining and everyday get-togethers. 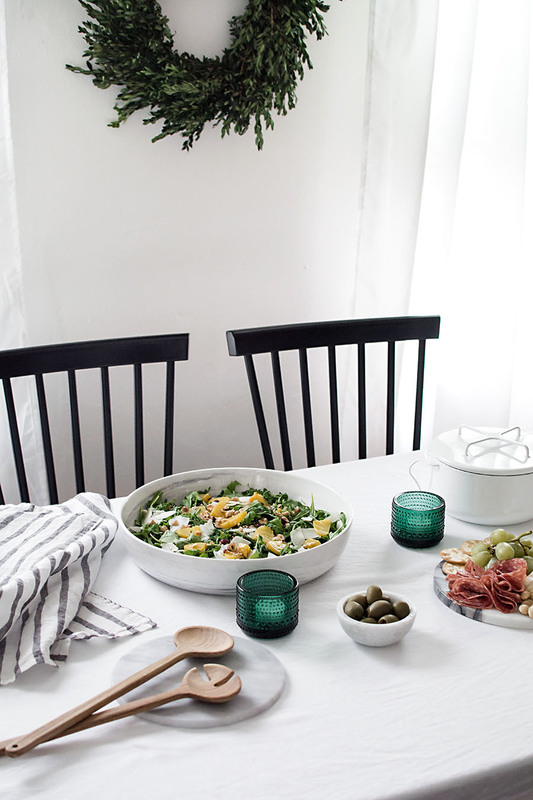 I love that the Bed Bath & Beyond online shop carries some of my favorite Nordic brands, like these iittala Tealight Candle Holders or the Dansk Salad Server Set and Kobenstyle Casserole Dish (a neat thing about this casserole dish is that you can use the lid as a trivet!) I found it very convenient that orders over $29 ship free, which is everything for someone like me who likes to shop at home and not participate in the holiday shopping traffic. I also love pretty much every item from Bed Bath & Beyond’s Artisanal Kitchen Supply collection. I placed the order for my picks online to pick-up in store since I wanted to see them in person first before purchasing, and it made it so much easier to have everything there for me waiting at order pick-up. I was happy to see that the marble and wood pieces especially are so beautiful and well made. This Marble Cheeseboard and complementary Cheese Knife Set is already getting a ton of use this season in our home. 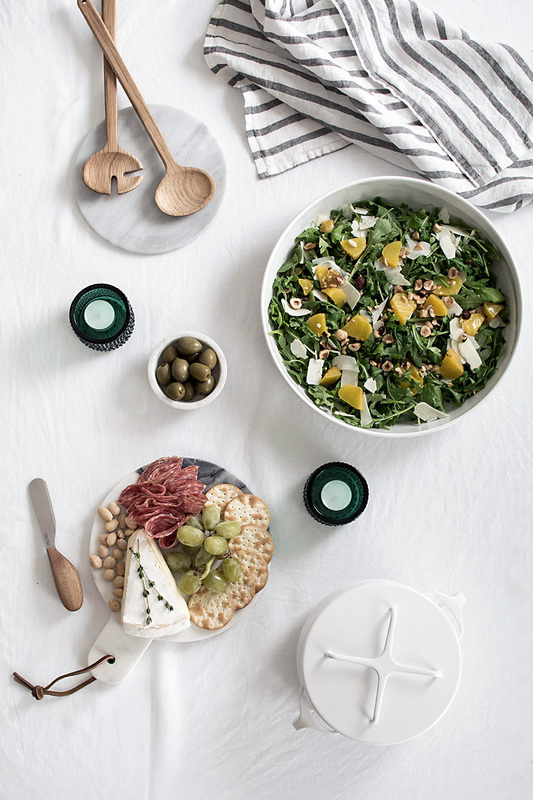 With a side of olives in this Marble Salt Bowl and a big gorgeous salad served in this Coupe Marbleized Vegetable Bowl, this is pretty much our favorite meal we wouldn’t mind having daily. A trivet can serve multiple purposes and is a particularly favorite piece of mine for its versatility. 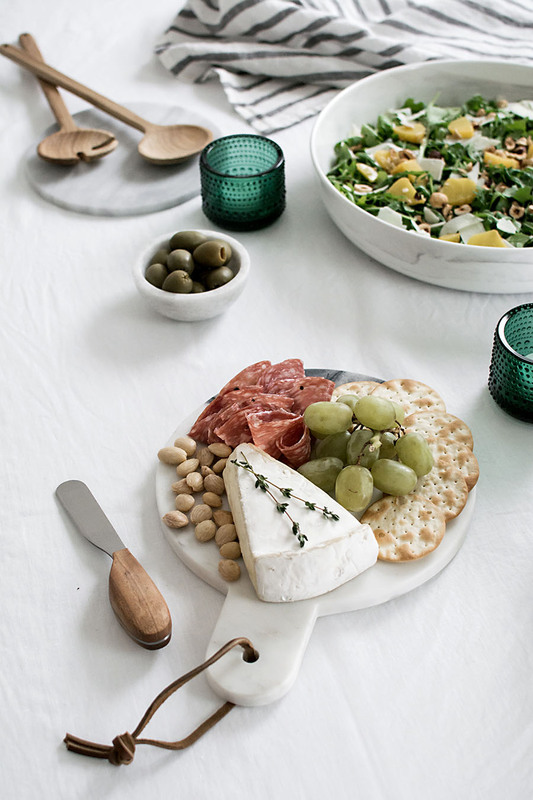 I’m using this Marble Trivet here as a spoon rest for the salad servers, and aside from other uses to protect your surfaces, it could hold the rest of the knives from that cheese knife set, display more foods as an extension of your cheeseboard, or be a decorative tray in any room of the home. If you know someone who wants to get into making coffee at home, there are a few basic pieces you can gift to help grow their new hobby. 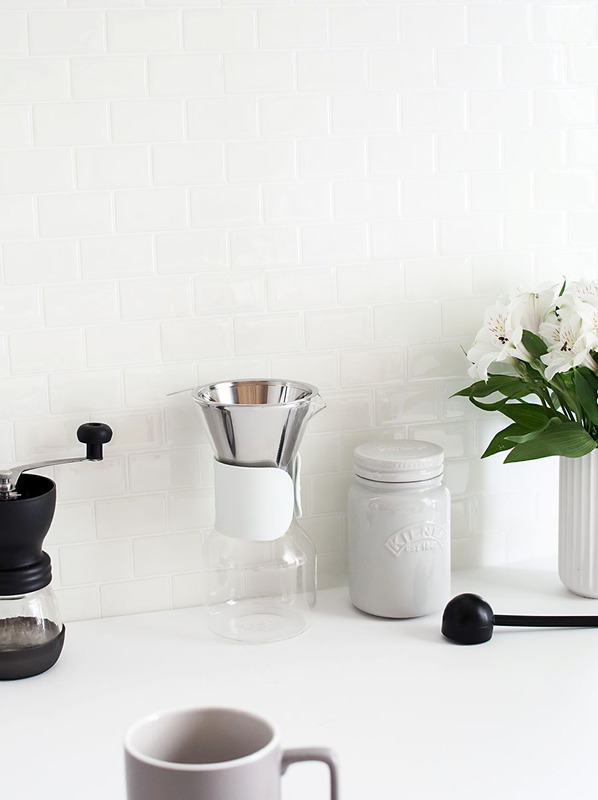 Something to house coffee beans in will be needed, which this Ceramic Canister is beautiful and perfect for. 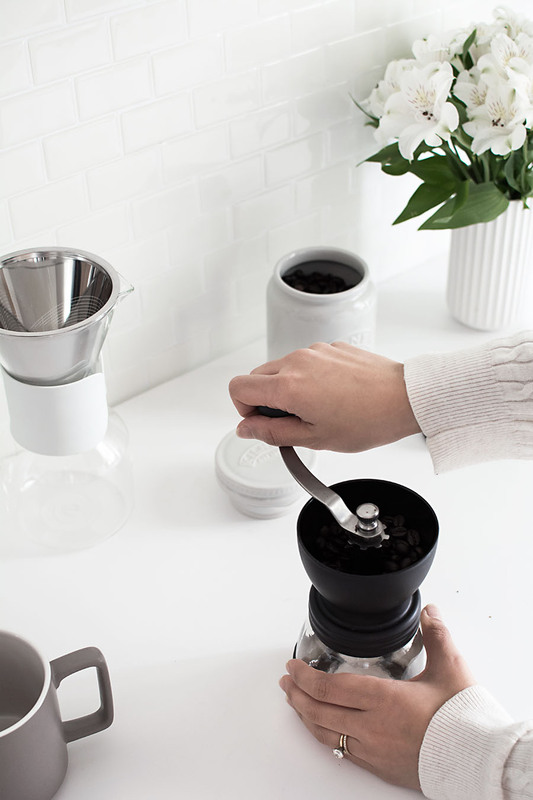 To make the coffee, this Pour Over Coffee Maker is a wonderfully simple device to make a solid cup, not to mention it is so beautiful in its modern design. 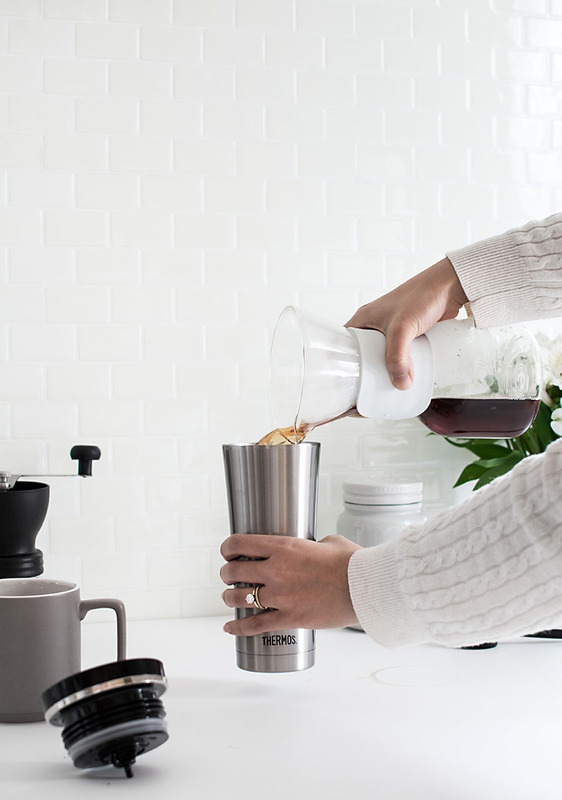 The coolest thing about it is that it has a built-in stainless steel filter, meaning it doesn’t need paper coffee filters, which is one less thing to regularly buy. For grinding coffee beans, we love using this Coffee Grinder that can adjust the grind size to your preference and always reliably produces even grounds, meaning better coffee. Doing it by hand does take time, but we’re convinced the meditative ritual of it is a central part of the labor of love. Some beautiful mugs like these Noritake ColorTrio Stax Mugs would be perfect to gift along with coffee tools, or for something more on-the-go, this Thermos Tumbler is an incredibly useful way to keep coffee hot (up to 5 hours) and conveniently dispenses liquid with a one-push button mechanism on the lid. There’s also a tea hook at the bottom of the lid to hold a tea bag or infuser inside. 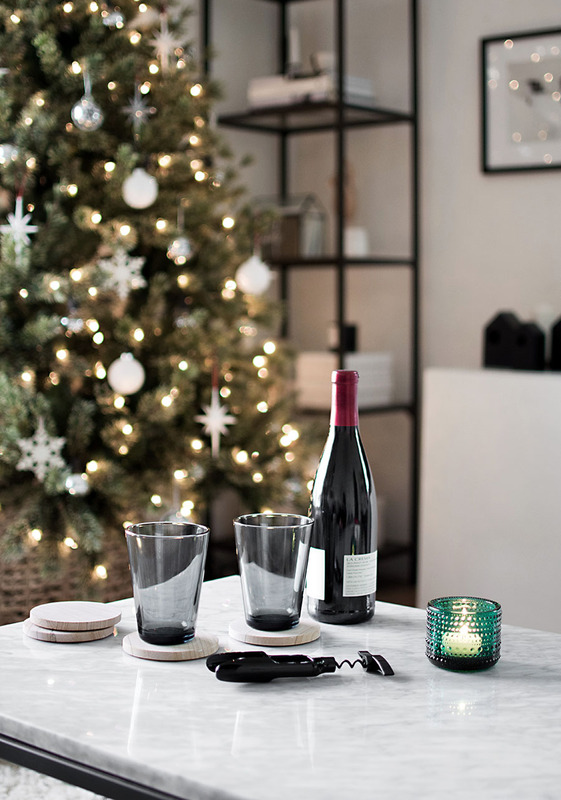 A little twist on the classic gift of wine is to gift it with unique glasses. While it’s pretty unconventional to drink wine from tumblers, these gorgeous Smoke Colored Glasses are too pretty to make me care about that, and I love that they have the versatility to be used for any beverages so long as the person drinking isn’t particular about that! 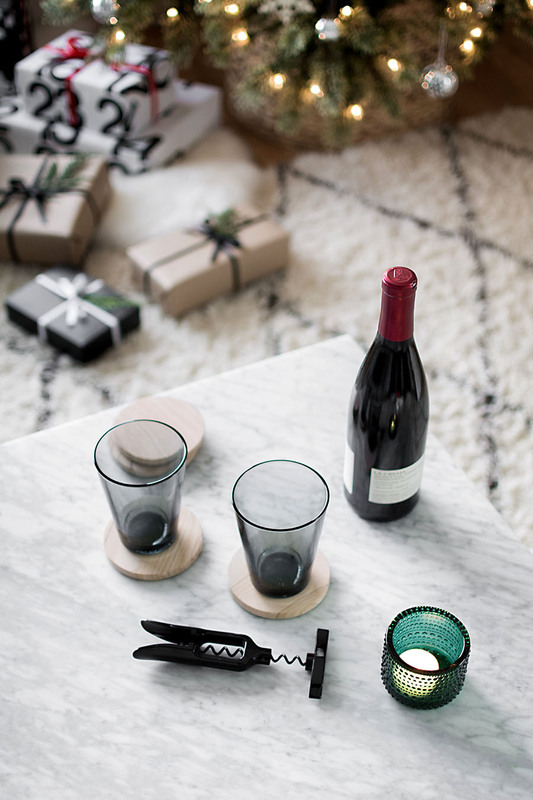 Pair the glasses with coasters for a very useful addition to the gift. These Thirstystone Sandstone Coasters are not only beautiful, but the sandstone is very absorbent and works SO well at keeping drips or condensation from traveling onto your furniture. Super impressed with these. For a corkscrew, a nifty one is this Le Creuset Table Model Corkscrew which pulls out the corkscrew as you turn the handle. It opens bottles easily, doesn’t require any pulling strength, and the stylish design is a major plus, as always. 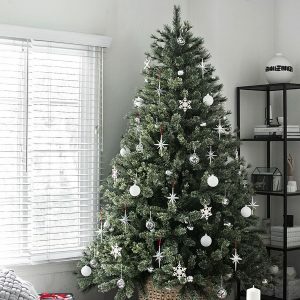 I could keep going on about all the amazing gifting options, but these are my top picks that I believe any home would be happy to have. 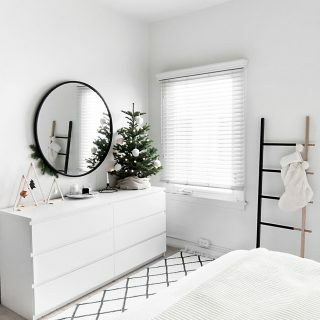 Check out Bed Bath & Beyond for even more gifting ideas, and all the links to the products in the post are below if you missed any of them! This post is sponsored by Bed Bath & Beyond. Oooh so many good things! Have the huge marble bowl in my cart already. :-) Thanks for a lovely gift guide.